The current St Dunstan's band formed in 2007 when we began recruiting and training ringers. We are now a mixed band of learner, intermediate and experienced ringers. If you are interested in learning to ring, joining the band and gaining a group of friends, please contact us at the email address below. We ring for Sunday morning services (9.15 - 10.00) and regularly for special services. Practices are held on Thursdays (7.30 to 9.30pm). We organize peals, quarter peals, outings and social events, enjoy occasional visits to neighbouring towers and are pleased to welcome visiting bands to our tower too. If you would like to join a practice or book the bells for an outing, quarter peal or peal, please contact the tower secretary at the email address below. St Dunstan's present 10 bells were cast in 1806 by the Whitechapel Bell Foundry. Three were recast in 1952, when all were rehung in a new frame. But Stepney's bells go much further back in history to the nursery rhyme 'Oranges and Lemons'. 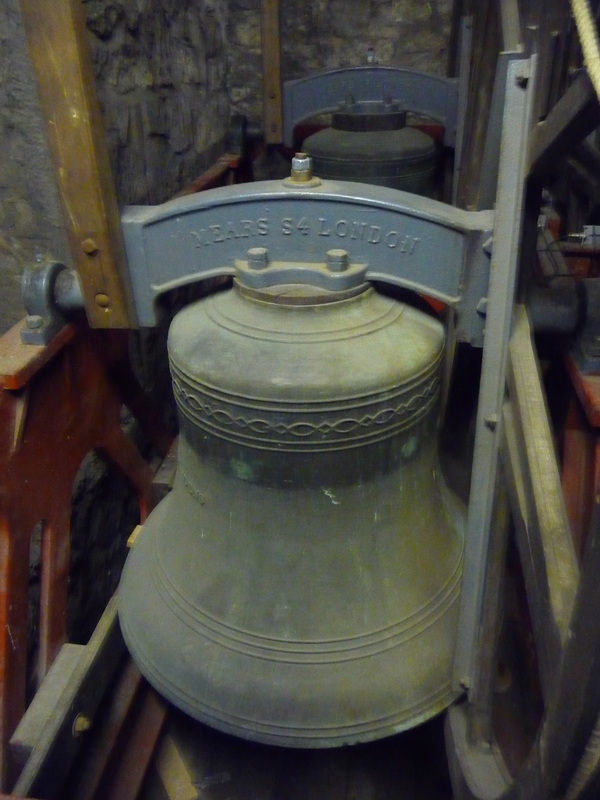 It is said Stepney's are among the finest sounding bells in London. We take great pleasure in ringing them.